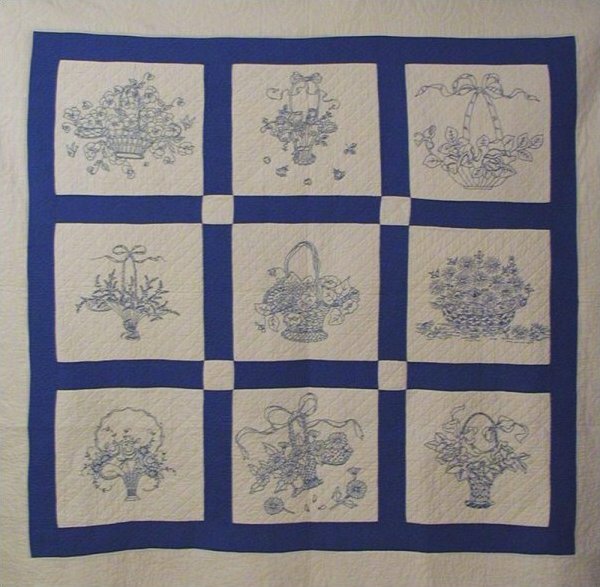 This beautiful Bluework Basket quilt was found in the Kutztown area of Pennsylvania. 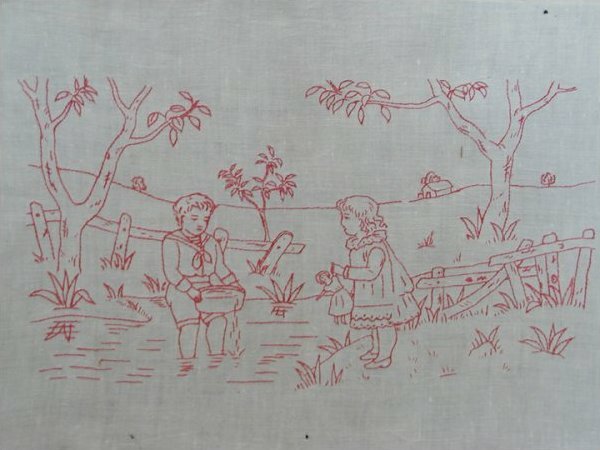 The original embroidery on this Kate Greenaway design, ca. 1900, is on a fine piece of linen. The edges have been frayed or fringed one half inch. Turkey red thread was used to sew the stem stitch. 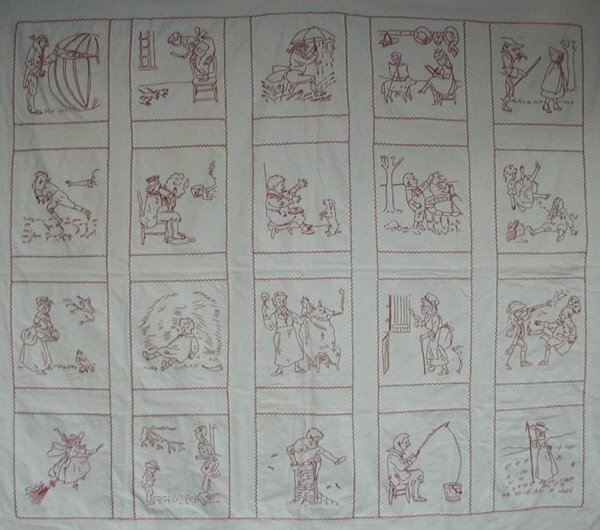 This fabulous quilt contains some of the most well loved designs of Kate Greenaway (1846 â€“ 1901), an English artist and illustrator. 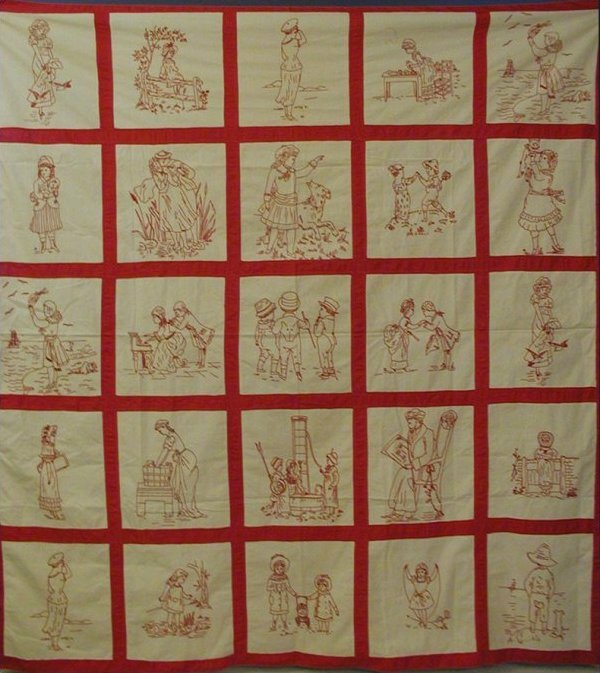 The Nursery Rhyme quilt, ca. 1920, was made by Mrs. N. M. Clark (1890-1989) of Hartford, Connecticut.